Are you the one who stands alone like one man army or the one who goes around with the majority, do you run your own show or follow around where the majority goes? Are you a stereotype or the one who breaks all the rules and makes his own landmark, well having said that, I can dare say; if you do your own thing, certainly you will get criticism but it will be a lot more adventurous, daring, interesting and happening. There is always a new time for a new thing and there is always a first time for everything. So never be afraid of trying new things, and do something that others may follow your lead. But for that matter you should be ready enough to take and embrace challenges and new things; you should be good at experimenting stuff. Perhaps you might not get a good response in the beginning but as long as you follow your own heart you will reach somewhere you always wanted. At least being a designer myself I like to invent new things, implement new techniques and watch things from a different perspective. So whatever way you choose just feel confident about yourself no matter what people say. This is the season of weddings where every now and then we get an invitation card from a relative, or whenever we login to Facebook or any other social networking site, someone’s getting married. Why? 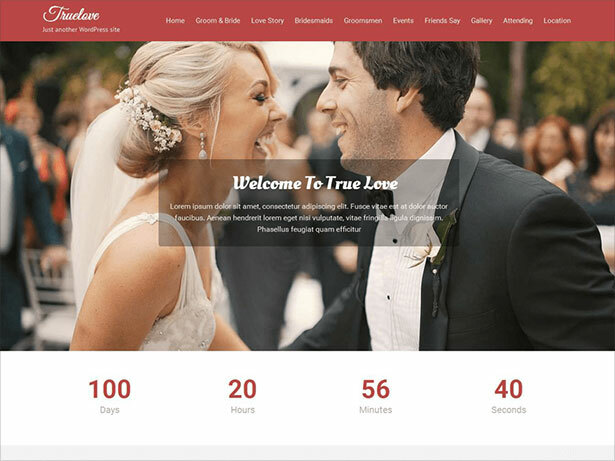 Because marriage is a beautiful bond between two people, and it is that pure connection that remains forever a true unison of two partners. 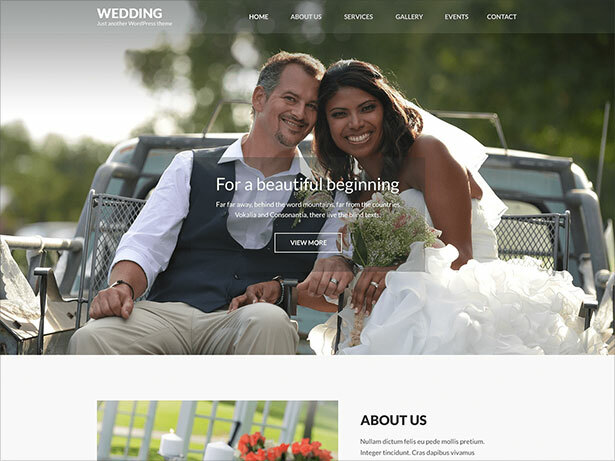 If you are a designer yourself or someone who needs ideas regarding wedding, this post will be a lot beneficial for you. 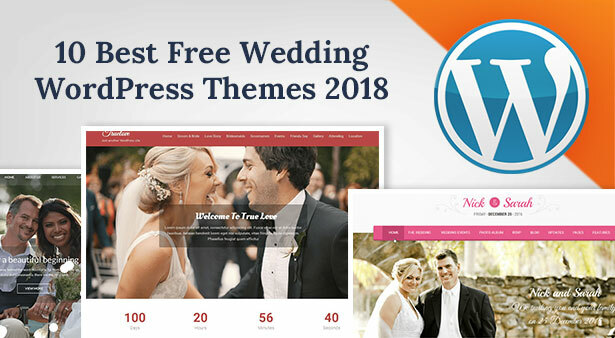 Down here you may see 10 latest best free wedding WordPress themes of 2018. 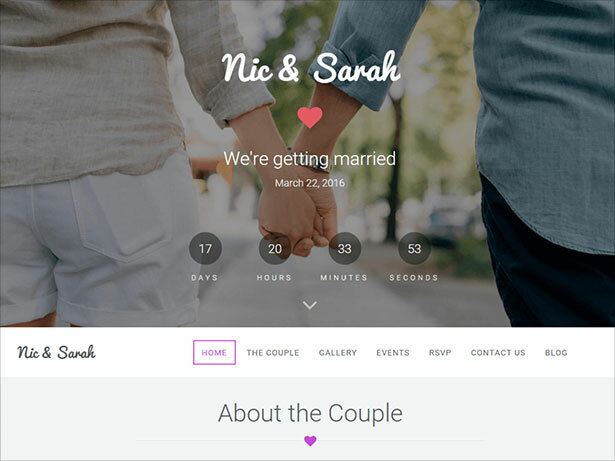 These can be a great help for the bride/groom to mention the dates, timings and venue of their wedding ceremony all put on the website so the invitees can reach out to them, read about their story, events, endeavors and interesting happenings about the couple. 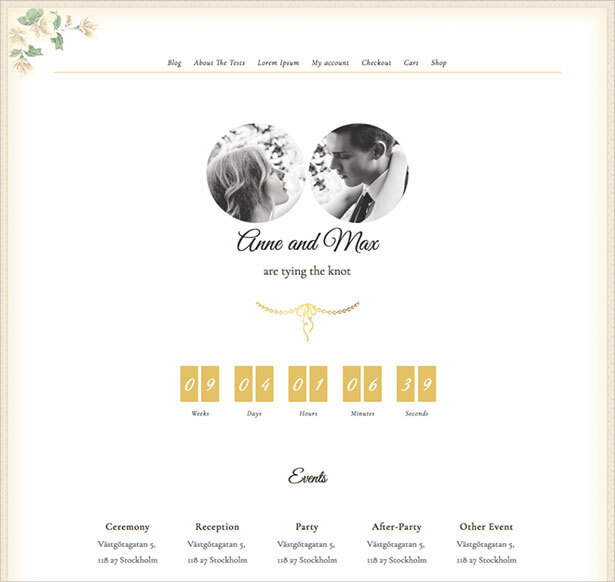 This is certainly a new way to go about wedding invitation or about couple’s glorious goings-on. 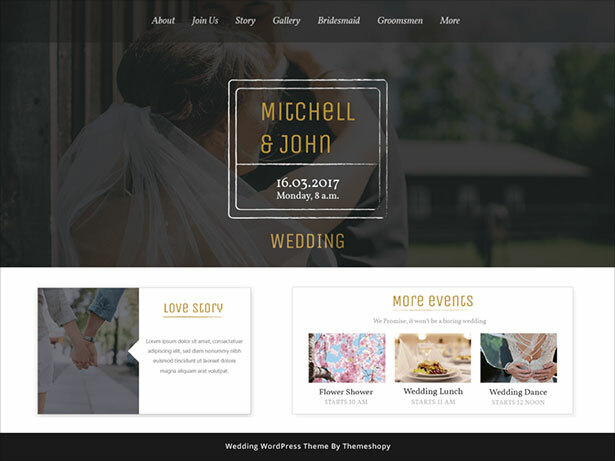 Stop leaning on wedding cards anymore, and get your hands on the site with wedding WordPress theme, certainly it will be surprising and pleasing for the couple and for all the guests/family members etc. 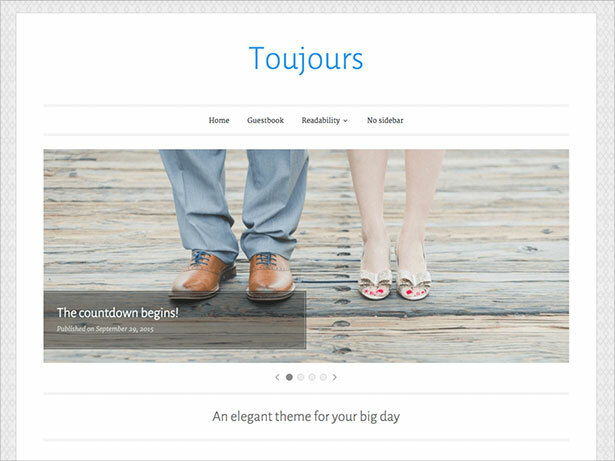 For more amazing freebies and posts of inspiration stay tuned to the blog. Here we go. 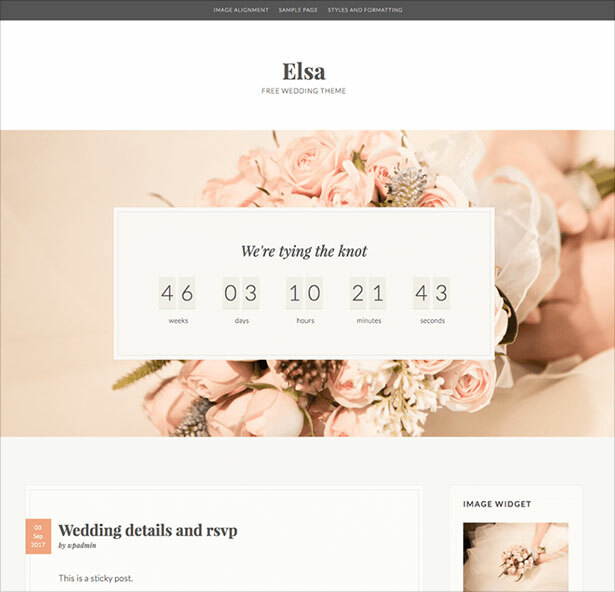 Beautiful collections of Wedding WordPress themes. I love them all. 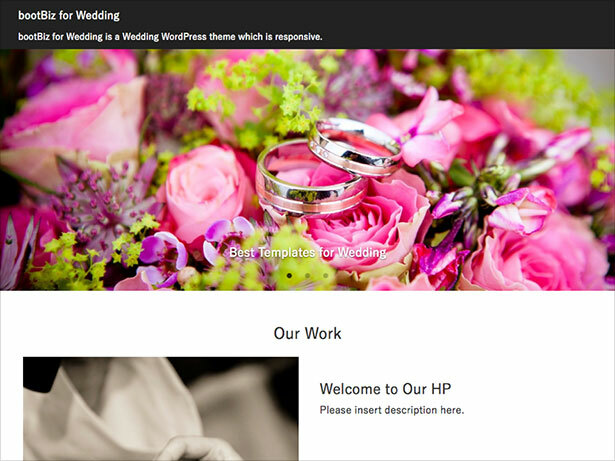 I also want to share one more amazing wedding WordPress theme called ‘TwoGether’. 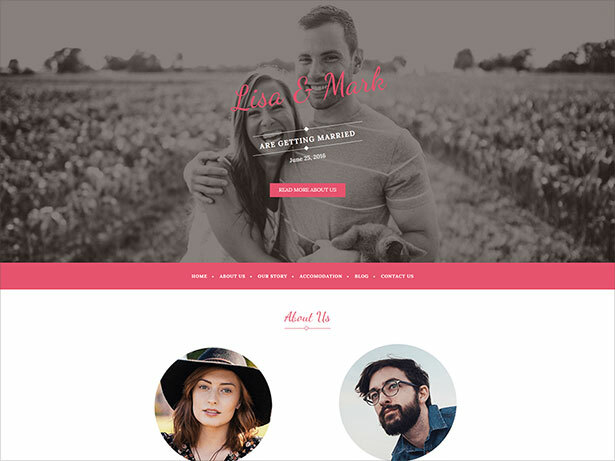 This is free Wedding theme built especially to showcase your wedding content in a sophisticated and eye-catching way.